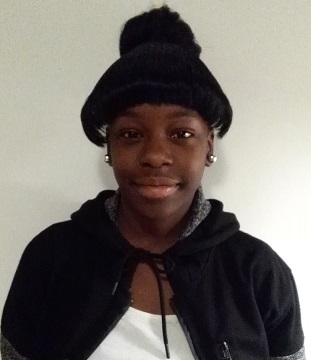 Family and police are concerned for the well-being of a missing girl from Brampton. Danae Brown, 13, was last seen at 11:30 a.m. Thursday morning (April 13) when she left her family home in the area of Vodden Street East and Kennedy Road North. Brown is described as a black female, brown eyes, 5'9" tall, 140 pounds with a medium build and dark brown shoulder-length hair in four large braids. She was last seen wearing a black leather jacket, white t-shirt and blue jeans. Anyone with information on her whereabouts is asked to call police at 905-453-2121, ext. 2233. Information may also be left anonymously by calling Peel Crime Stoppers at 1-800-222-TIPS (8477), by visiting www.peelcrimestoppers.ca or by sending a text message to CRIMES (274637) with the word 'PEEL' and then your tip. UPDATE: Brown has been located in good health. UPDATE: Brown has been located in good health and was reunited with her family. Police thank the public for their assistance in finding her.